OpenFeint, a plug and play mobile social gaming network with 115 million players, is extending its popular feature GameFeed to its iOS SDK. OpenFeint’s plug and play mobile social platform and application for smartphones includes a set of online game services such as leaderboards, virtual currencies and achievements running in a cloud-based Web environment. GameFeed is a social gaming newsfeed integrated into the platform that aims to improve player engagement by elevating social activity from the OpenFeint network in games. The feed will stream informations like updated player profiles, player achievements and more. By adding the GameFeed plugin to their existing OpenFeint integrations, OpenFeint claims that 24 beta participants increased sessions-per-user by an average of 25 percent. Some developers are experiencing growth as high as 60 percent. 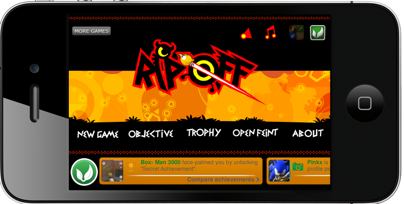 OpenFeint also announced that game developers Big Blue Bubble (makers of Burn the Rope), Get Set Games (makers of Mega Jump), PikPok (makers of the Flick Kick™ series) and Sibblingz (publishers of Island Tycoon) will integrate GameFeed. Interestingly, OpenFeint actually extended the GameFeed to Android first, and now the feed is cross platform with iOS support.